Navicat for MySQL are able to connect to MySQL and MariaDB databases simultaneously within a single application. It works with MySQL database servers from version 3.21 or above and MariaDB 5.1 or higher. It is also compatible with Drizzle, OurDelta, and Percona Server, and supports most of the latest features, including Tables, Views, Functions/Procedures, Events, and more.The Major features are as following, the SQL Builder/Editor, a Data Modeling Tool, Data Transfer, Import/Export, Data/Structure Synchronization etc. About the SQL Builder, Visual SQL Builder allows user to create and edit queries/views without having to worry about syntax and proper usage of commands. Users just choose the operation would like to perform on the tables, and it will write the SQL statements. For the Data Transfer, user will be effortlessly transfer data between databases. 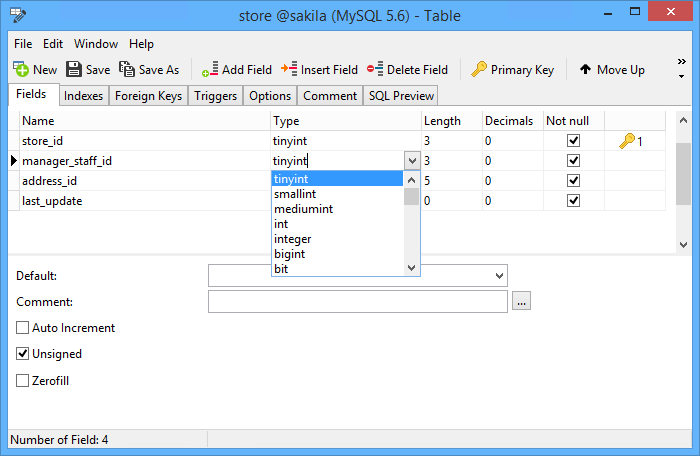 They can also export data as an SQL file with designated SQL formatting and encoding. This feature drastically simplifies the process for data migration. Related to Import/Export Wizard, developer can import data into a table from diverse formats such as Access, Excel, XML, TXT, CSV, JSON, and more. Import data from ODBC after setting up a data source connection. They can simply choose the tables you wish to import or specify a query using the Add Query button. Likewise, they can export data into various formats such as, Excel, TXT, CSV, DBF, XML, etc. Regarding to Data/Structure Synchronization, user can transfer data from one database to another with a detailed analytical process. Likewise, you can compare and modify the table structures. For both Data and Structure Synchronization, the target database can be on the source server or on another server. For the windows editions report viewer, user can create different types of reports with our user-friendly GUI Report Builder. Design reports for Invoices, Statistics, and Mailing Labels. Output the reports as text, PDF, Lotus, Excel, Graphic, HTML. You can even share reports with non-Navicat Users who have Navicat Report Viewer installed.With the newly feature Navicat Cloud, developers can sync the connection settings and queries to the cloud. Hence, user can get the real-time queries and connections anytime and anywhere, leverage every minute of the day in order to maximize the productivity.